Debra R. Huston, Administrative Law Judge (ALJ), Office of Administrative Hearings, Special Education Division, State of California (OAH), heard this matter from March 13 to 16, 2007, in North Highlands, California. Student’s mother (Mother) represented Student and was present during the entire hearing. Student’s father (Father) and child advocates Deborah Wright and Peter Torres were present during parts of the hearing. Attorney David Girard represented the Rio Linda Union School District (Rio Linda) and the Grant Joint Union High School District (Grant). Marilyn Fitzgerald, Director of Student Support and Special Education Services for Rio Linda, and Patricia Stevens, Director of Special Education for Grant, were both present for most of the hearing. On October 6, 2006, Student filed his request for due process hearing and on November 13, 2006, Student filed his amended request. On December 14, 2006, the due process hearing was continued. On March 16, 2006, the matter was submitted for decision and the record was closed. I. From October 2003 through the end of the 2003-2004 school year, did Rio Linda fail to assess Student in all areas of suspected disability? II. Were the assessments conducted by Rio Linda from October 2003 through the end of the 2003-2004 school year appropriate? A. Failing to identify all of Student’s unique needs? B. Failing to establish goals and objectives that were appropriate and adequate? C. Failing to establish goals to ensure Student’s graduation from high school? D. Failing to offer an appropriate placement? E. Failing to provide Student the speech services required pursuant to his IEP? IV. Were the assessments conducted by Grant during 2004-2005, 2005-2006, and 2006-2007 school years appropriate? V. During the 2004-2005, 2005-2006, and 2006-2007 school years, did Grant fail to assess Student in all areas of suspected disability? E. Failing to offer an appropriate math program as a result of Student’s math teacher’s alleged violent and inappropriate conduct, which resulted in Student being unable to access his curriculum and to progress academically in math? F. Failing to provide Student the speech services required pursuant to his IEP? 1 The issues for hearing were agreed upon during a prehearing conference (PHC) held on January 29, 2007. For clarity of decision writing, the issues have been reordered and combined by the ALJ but are the same issues that were agreed upon at the PHC. 2 Although Student’s family remained in the same residence, their home was in the jurisdictional boundaries of Rio Linda for Student’s sixth grade year and within the jurisdictional boundaries of Grant for Student’s seventh and eighth grade years. 3 Ms. Cook holds a Bachelor of Science degree in human development and a master’s degree in educational psychology from the University of California, Davis. Ms. Cook also holds a pupil personnel services credential as a school psychologist. Ms. Cook has been a school psychologist for 20 years, and has evaluated approximately 500 children with specific learning disabilities. 4 Ms. Feldman has a master’s degree in education with emphasis on special education. She holds a learning handicapped credential for mild to moderately disabled students, kindergarten through adult age. She also holds a multiple subject credential for kindergarten through eighth grade with an emphasis in English, and a resource credential. Ms. Feldman was a teacher for 10 years at Starr King and at Dewey Elementary, and has more recently been trained as a director of the Huntington Learning Center, which is a nationwide franchise. 5 The November 19, 2003 IEP remains the last signed IEP for Student. 6 Regarding behavior, Student contended at the hearing that Grant failed to provide Student with a functional analysis or behavior support plan. The failure of Grant to provide an FAA or a BSP was not an issue raised in Student’s request for due process. However, as is discussed infra , Student did not have a behavior problem that warranted anything more than a parent-teacher conference. 7 Ms. Speakman has a Bachelor of Science in special education and a master’s degree in special education. She is certified to teach children with severe handicaps, learning handicaps, and emotional disturbances. She holds credentials in K-12 language arts and K-12 social studies. She also holds an RSP certificate. 8 Ms. Coghlan holds a master’s degree, a clear credential in mild and moderate, and a clear credential to teach English, literature, and social science. Ms. Coghlan has taught within Grant for the past seven years, and taught two years before that in another district. 9 Ms. Poteet holds a credential in clinical rehabilitation services with emphasis on language, audiology , and hearing. She also holds a special day class authorization, a state license as a speech and language pathologist, and a certificate of clinical competence from the American Speech, Language and Hearing Association. Ms. Poteet is a part-time professor in the speech pathology and audiology department at California State University, Sacramento. In addition, Ms. Poteet has received certificates that reflect participation in advanced training. 10 Mr. Johnson is a school psychologist employed by Grant, who assessed Student in September 2006. He works with general education and special education students. Ms. Johnson has a Master of Arts degree in counseling psychology, a Master of Science in school psychology, a credential in pupil personnel services, and certificates in continuing education. Mr. Johnson is a member of the American Psychological Association and the American School Psychologists Association, among others. Mr. Johnson is an independent assessor as well, and conducts assessments in the community, for regional centers, and for probation. Mr. Johnson conducts approximately 60 to 120 assessments a year, and has assessed 300 to 600 junior high school students. 11 Ms. Stevens holds an undergraduate degree in speech pathology and audiology with a minor in sociology and child development. She holds a graduate degree in communication disorders. Ms. Stevens is currently in a graduate program at Harvard University with emphasis on special needs issues in urban areas. Ms. Stevens has been with Grant for 25 years, and has been the director of special education services for 10 years. She is a recipient of the school board administrator of the year award and the William James Foundation Scholarship. Ms. Stevens is the vice-chair of the SELPA, she trains other teachers in the district in special education, and she is a master teacher with California State University, Sacramento, overseeing graduate-level students in speech pathology and audiology. Ms. Stevens is a member of the California Speech and Hearing Association, and is licensed to practice speech pathology. 12 At the time of the hearing, Ms. Siefert was out on medical leave, and will remain out on medical leave for the remainder of the 2006-2007 school year. 13 IDEA was effective until June 30, 2005, when it was amended by the Individual with Disabilities Information Act (IDEIA), which was effective beginning on July 1, 2005. As proposed remedies, Student seeks independent educational assessment in the areas of reading, writing, arithmetic, and memory; reimbursement for educational expenses; and an appropriate placement and services. All of Student’s contentions regarding Rio Linda involve the time period from October 2003 through the end of the 2003-2004 school year. Student contends that the assessments conducted by Rio Linda were inappropriate because the assessments provided an inaccurate and inflated picture of Student’s then-present levels of academic performance which resulted in Rio Linda’s failure to identify all areas of Student’s unique educational needs. In addition, Student contends that Rio Linda failed to assess Student in all areas of suspected disability, specifically ADD, ADHD, a sensory disorder, fine motor deficits, handwriting (dysgraphia), motor development, behavior, reading, and speaking. Student also contends that Rio Linda denied Student a FAPE by failing to identify all of Student’s unique educational needs, specifically: reading practice, improving reading comprehension, writing practice, writing instruction, science instruction, instruction with respect to a system of note-taking, step-by-step instructions for academic tasks, and improving ability to retain information. Student further contends that Rio Linda failed to offer appropriate goals and objectives that would enable Student to progress academically, and to ensure Student’s graduation from high school. In addition, Student contends that Rio Linda denied Student a FAPE by failing to offer an appropriate placement in that the academics in Student’s placement were too difficult and unreachable for Student. Student contends the curriculum was not tailored to Student’s needs, and was not delivered in a manner that would allow him to access the curriculum and receive educational benefit in the areas of science, math, and English. Student contends he was not provided with a one-to-one aide, a tutor, placement in a private school, and assistive technology, including a laptop computer and a recording device, all of which he needed to make educational progress. Finally, Student contends that Rio Linda denied Student a FAPE by failing to provide the speech services required pursuant to his IEP. All of Student’s contentions regarding Grant involve the 2004-2005, 2005-2006, and 2006-2007 school years, and are identical to those involving Rio Linda except that Student also contends that Grant denied him a FAPE in the area of math as a result of Student’s math teacher’s alleged violent and inappropriate conduct, which resulted in Student being unable to access his curriculum and to progress academically in math. Rio Linda contends that Student’s claims against it, which all involve the 2003-2004 school year, are barred by the statute of limitations. Both districts contend that they have at all times provided Student with a FAPE, and that the educational program provided to Student was reasonably calculated to provide him with educational benefit. Both districts contend that the assessments were appropriate and that Student was assessed in all areas of suspected disability. Both districts contend that all of Student’s unique needs were identified, the goals and objectives in Student’s IEPs were appropriate, and the placements offered and provided were appropriate. Both districts contend that they provided Student with the speech services required pursuant to his IEP. In addition, Grant contends that the math program provided Student was appropriate, despite the situation with the teacher, and did not deny Student FAPE and render him unable to access his curriculum. 1. Student is now 14 years of age and is eligible for special education under the category of specific learning disability. 3. For the 2006-2007 school year, Student is a freshman at Natomas High School within the Natomas Unified School District. Currently, Student is not enrolled in special education, and is in the general education program at Natomas High School, although he still resides within the jurisdictional boundaries of Grant. 4. On February 13, 2007, Rio Linda filed a motion to dismiss Student’s claims against Rio Linda, contending that Student’s due process complaint was filed November 13, 2006, and the statute of limitations at that time was two years. 5. As stated in Legal Conclusion 2, prior to October 9, 2006, the statute of limitations for due process complaints in California was three years. The statute of limitations was amended, effective October 10, 2006, and is now two years. 6. In this case, Student’s due process complaint was file-stamped as being received by OAH on October 10, 2006. Mother established that she faxed Student’s due process complaint to OAH on October 6, 2006, and that due to a fax machine problem at OAH, the complaint was not received by OAH on that day. Had the fax machine been working properly, the complaint would have been received by OAH on October 6, 2006. 7. Student’s claims against Rio Linda arising from the 2003-2004 school year are not barred by the statute of limitations because Student filed his due process complaint on October 6, 2006. Student amended the due process complaint on November 13, 2006, after having been granted leave to amend the complaint. The claims in that complaint of November 13, 2006, relate back to the date the due process complaint was filed and are not time-barred. 8. A district is required to assess a student in all areas related to a suspected disability. A district is required to assess a student not more than once a year, and at least every three years or more frequently if the district determines that the student’s educational and related service needs warrant a reassessment. 9. Student contends that from October 2003 through the end of the 2003-2004 school year, Rio Linda failed to assess Student in all areas of suspected disability, specifically ADD, ADHD, a sensory disorder, fine motor deficits, handwriting (dysgraphia), motor development, behavior, reading, and speaking. 10. Student enrolled in Orchard Elementary School within Rio Linda on August 20, 2003. 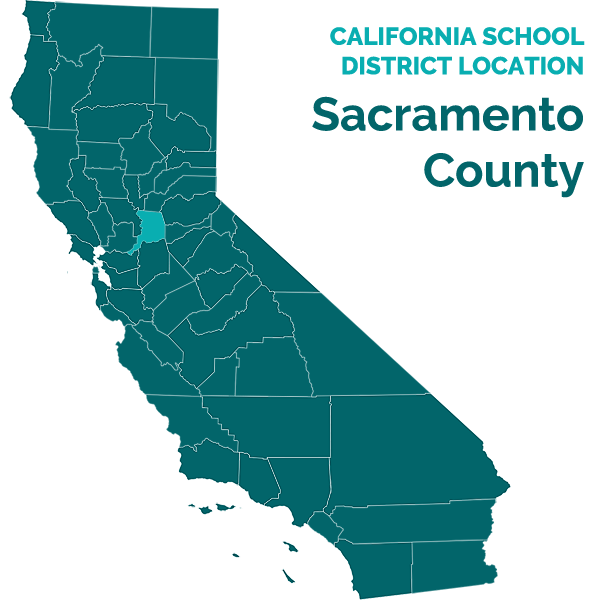 Student had been assessed the previous March (2003) at Del Paso Elementary School, which is located within the jurisdictional boundaries of the Del Paso Unified School District (Del Paso). 11. Susan Johnston, Student’s sixth grade teacher, was concerned about Student’s academic progress. Mother informed Ms. Johnston that Student had been assessed by a school psychologist at Del Paso, but that Student qualified for speech and language therapy only and not for special education and related services. Rio Linda was unable to get Student’s file from Del Paso and, because of Mother’s statements, scheduled a student study team (SST) meeting for October 24, 2003. Mother signed an assessment plan at the SST meeting. 12. As part if its assessment, Ms. Gayle Cook,3 a school psychologist with Rio Linda, obtained the psychoeducational assessment that had been prepared by school psychologist David Holtz at Del Paso in March 2003. Mr. Holtz had administered the Cognitive Assessment System (CAS), the Developmental Neuropsychological Assessment (NEPSY), the Test of Memory and Learning (TOMAL), the Test of Auditory Perceptual Skills-Revised (TAPS-R), and the Woodcock-Johnston III Tests of Achievement. In addition, Del Paso personnel administered a speech and language assessment on March 14, 2003, and the Woodcock-Johnson III Tests of Achievement on March 11, 2003. 13. Ms. Holtz’s psychoeducational evaluation indicates Student had average intellectual ability, with processing deficits in auditory memory, language, and phonological processing. At the time the assessment was conducted Student’s academic scores did not fall significantly below his ability and he was not found eligible for special education. 14. Ms. Cook determined that the assessment conducted by Mr. Holtz was appropriate and current, having been conducted only seven months earlier. Mother agreed that the only updates needed to Mr. Holtz’s assessment were in the areas of academics and visual processing. 15. On November 12, 2003, Ms. Cook prepared a psychoeducational evaluation based on the testing done by Mr. Holtz in March 2003 and additional tests, including the Beery Developmental Test of Visual-Motor Integration (VMI), the Motor-Free Visual Perception Test (MVPT), the Wechsler Individual Achievement Test-II (WAIT-II), and a speech and language evaluation. 16. Ms. Cook’s assessment, which supplemented previous testing by Mr. Holtz and included a speech and language assessment, assessed Student in all areas of suspected disability. 17. Ms. Cook was not required to address behavior in her assessment of Student. Student had only two or three incidents involving aggressive behavior on the playground during basketball while in sixth grade. According to Student’s sixth grade teacher and Ms. Cook’s observations, Student is athletic, considerate, and makes friends easily. There were no indications that a behavior assessment was warranted. 18. In addition, assessment was not required in the areas of ADD, ADHD. Student was not distracted by noise, and was not hyperactive. Student consistently made good use of time, worked independently, organized his materials, completed class work on time, completed homework on time, followed directions and procedures, accepted and respected authority, and cooperated well in group situations. 19. There was also no reason to assess in the area of a sensory disorder or motor development. Ms. Johnston, Student’s sixth-grade teacher, did not suspect a sensory disorder in Student. Student was an excellent athlete in sixth grade and there were not indications of sensory or motor deficits. 20. Assessment was also not required in the area of fine motor deficits or handwriting (dysgraphia). Ms. Johnston does not recall letter formation being a problem for Student. Teaching students to present neat and careful work is an area of focus for Ms. Johnston, and if Student had not presented neat and careful work, Ms. Johnston would have noted a letter formation problem under the “presents neat and careful work” portion of Student’s report card, and she would have commented on that in the teacher comment area of the report card. She did neither. Student was assessed in the areas of reading and speaking, and received services in both areas. 21. Although Student’s expert, Ms. Rebecca Feldman,4 the director of Huntington Learning Center in Citrus Heights, testified in support of Student’s claims, she did not testify that District failed to assess Student in all areas of suspected disability. Ms. Feldman has not reviewed any of Student’s past assessments and has never talked to any psychologist who assessed Student. Mother did not provide Ms. Feldman with any assessment of Student because Mother wanted Huntington to give her information regarding Student, rather than vice-versa. Ms. Feldman did not test Student herself, and the tests that were administered to Student by the Huntington Learning Center on February 21, 2006, were screening instruments that have been approved by the Huntington Learning Center for the purposes for which they are used. The tests used by Huntington are not validated for the purpose of assessing a student for eligibility for special education. 22. Rio Linda assessed Student in all areas of suspected disability and identified his unique needs. 23. Tests and assessment materials must be administered by trained personnel in conformance with the instructions provided by the producer of such tests. Assessments must be conducted by individuals who are both knowledgeable of the student’s disability and competent to perform the assessment. A psychological assessment must be performed by a credentialed school psychologist. Tests and assessment materials must be validated for the specific purpose for which they are used, must be selected and administered so as not to be racially, culturally or sexually discriminatory, and must be provided and administered in the student’s primary language or other mode of communication unless this is clearly not feasible. 24. Student contends that the assessments conducted by Rio Linda were inappropriate because the assessments provide an inaccurate and inflated picture of Student’s present levels of academic performance, which, according to Student, resulted in Rio Linda’s failure to identify all areas of Student’s unique educational needs. In support of this claim, Student relies on his STAR testing from the sixth grade, which shows that he scored “below basic” in most areas in the sixth grade and on the testimony of Student’s expert witness, Ms. Rebecca Feldman, who testified Student was not making progress. 25. As discussed in Factual Findings 12 through 15, a variety of tests and assessment materials were administered to Student. Ms. Cook has been a school psychologist for 20 years and has assessed hundreds of students. For purposes of conducting her assessment, Ms. Cook examined Student’s special education file and read the psychoeducational report prepared by Mr. Holtz. Ms. Cook had spoken with Mother at the SST meeting. Ms. Cook observed Student in class once prior to the evaluation, and also observed him during the evaluation. Ms. Cook also spoke with Student’s teacher, Ms. Johnson, whose observations were consistent with Ms. Cook’s. 26. The assessment conducted by Mr. Holtz were selected to assess specific areas of educational need, and provide a valid estimate of Student’s measured psychoeducational functioning, skill, and learning abilities. The effects of environmental, cultural, and economic disadvantage on the Student’s learning were evaluated, and it was determined they were not factors that interfered with Student’s learning opportunities. In accordance with the directive from the California Department of Education prohibiting the administration of intelligence tests to African-American students by school personnel for the purpose of special education assessment and placement, no such instruments were used during the evaluation, and alternative means of assessment were employed. The results of the tests are considered valid. 27. According to Ms. Cook, Student demonstrated a significant learning disability due to a discrepancy between his intellectual ability and achievement in basic reading skills and reading comprehension, related to weaknesses in perceptual motor and auditory memory skills. Ms. Cook determined that Student was eligible for special education as a student with a specific learning disability with identified unique needs in the areas of reading, reading comprehension, written language, expressive language, pragmatics, articulation, and listening. Ms. Cook recommended resource support program (RSP) services in reading, written language, and also speech and language therapy. 28. Although Student’s expert, Ms. Feldman, the director of Huntington Learning Center in Citrus Heights, testified in support of Student’s claims, she had no opinion as to whether Student was appropriately assessed. Ms. Feldman had not seen the assessments of Student and had not spoken with anyone who had assessed Student at Rio Linda. Ms. Feldman does not know when Student attended school in Rio Linda. 29. The STAR test is not an assessment tool used by school psychologists for purposes of assessing students to determine eligibility for special education. The STAR test is not valid for that purpose but may be used as another factor in determining special education eligibility or identifying unique needs. While Student scored “below basic” on the STAR test, his scores on that test were within the average range even though timed tests caused stress for Student. 30. Rio Linda’s assessments were appropriate and an accurate reflection of Student’s progress. Student is not entitled to an IEE at public expense because the assessments were appropriate. 31. A district is required to provide a student with an educational program that is reasonably calculated to provide the student with some educational benefit in the least restrictive environment. A district is not required to provide a special education student with the best education available or to provide instruction or services that maximize a student’s abilities. A school district need only provide a basic floor of opportunity that consists of access to specialized instructional and related services that are individually designed to provide an educational benefit to the student. 32. A district is required to identify a student’s unique educational needs, and to provide special education and related services designed to meet the student’s unique educational needs. 33. Student contends that Rio Linda failed to identify all of Student’s unique educational needs, including reading practice, improving reading comprehension, writing practice, writing instruction, science instruction, instruction with respect to a system of note-taking, step-by-step instructions for academic tasks, and improving Student’s ability to retain information. 34. As discussed in Factual Finding 22 and 27, Rio Linda identified all of Student’s unique educational needs. Specifically, Student has unique needs in the areas of reading, reading comprehension, written language, expressive language, pragmatics, articulation, listening, and he was receiving services to address these unique needs. In addition, Student was receiving a comprehensive academic program in Ms. Johnston’s class, as discussed in Factual Findings 44 through 52, and he was making progress. Student did not have unique needs for reading practice, improving reading comprehension, writing practice, writing instruction, science instruction, instruction with respect to a system of note-taking, step-by-step instructions for academic tasks, and improve Student’s ability to retain information, over and above what he was receiving in school. 35. While Mother testified that Student had additional unique needs that Rio Linda failed to identify, Student’s expert, Ms. Feldman, was unable to comment or testify as to whether Rio Linda had failed to identify any of Student’s unique educational needs. The assessment conducted by Ms. Cook shows that Student did not have a unique need for reading practice, instruction in improving reading comprehension, writing practice, writing instruction, science instruction, instruction with respect to a system of note-taking, step-by-step instructions for academic tasks, or instruction in improving ability to retain information, over and above that he was already receiving in school. 36. Rio Linda appropriately identified all of Student’s unique needs. 37. An IEP is required to include a statement of measurable annual goals and a statement of how the child’s progress toward the annual goals will be measured. A district is required to write measurable goals that address a student’s unique needs. 38. Student contends that Rio Linda failed to establish goals and objectives that were appropriate and adequate for student. Specifically, Student contends the goals and objectives in his November 19, 2003 IEP were inappropriate and inadequate because they did not specify the location, frequency, and duration of those services, or how Student’s growth would be monitored and by whom. 39. Student has unique needs in the areas of reading, reading comprehension, written language, expressive language, pragmatics, articulation, and listening. Student’s November 19, 2003 IEP establishes measurable annual goals in the areas of reading, reading comprehension, written language, expressive language, pragmatics, articulation, and listening. The IEP requires that the RSP teacher be responsible for implementing the reading and written language goals, and that the speech and language therapist is responsible for implementing the expressive language, pragmatics, articulation, and listening goals. Each of these goals includes a measurable long-term goal and measurable benchmarks. The IEP includes a statement as to how Student’s progress will be evaluated. The IEP further specifies that Student will be in RSP in the RSP room for 45 minutes per day four times per week, and in speech and language therapy in the speech room for 30 minutes two times per week, which satisfies the requirements that the IEP specify the location, frequency, and duration of services. 40. Student’s expert, Ms. Feldman, could not give an opinion as to whether the goals and objectives established for Student were appropriate or adequate. Ms. Feldman had not seen the November 19, 2003 IEP, and was not familiar with the goals and objectives in that IEP. 41. Student’s IEP includes a statement of measurable annual goals that address Student’s unique needs and a statement of how Student’s progress toward the goals will be measured. The goals and objectives for Student were appropriate and adequate. 42. California law requires that, if appropriate, the IEP shall include, for pupils in grades 7 to 12, inclusive, any alternative means and modes necessary for the pupil to complete the district’s prescribed course of study and to meet or exceed proficiency standards for graduation. 43. Student contends that the November 19, 2003 IEP failed to establish goals to ensure Student’s graduation from high school. However, at that time, Student was only in the sixth grade. Consequently, Rio Linda was not required to include goals to ensure Student’s graduation from high school. 44. A district is required to provide a placement that is designed to address the student’s unique educational needs, and that is reasonably calculated to provide the student with educational benefit. In addition, a school district must provide any assistive technology (AT) device that is required to provide a FAPE to a child with a disability. An AT device is any item that is used to increase, maintain or improve the functional capabilities of a child with a disability. 45. Student contends that Rio Linda failed to offer an appropriate placement because: The academics in Student’s placement were too difficult and unreachable for Student; the curriculum was not tailored to Student’s needs; the curriculum was not delivered in a manner so that Student could access the curriculum and receive educational benefit in the areas of science, math, and English; the placement did not include a one-to-one aide; the placement did not include tutoring services; the placement did not include a private school for Student’s learning needs and behavior issues; and the placement did not include a laptop computer and a recording device for Student, both AT devices, to address Student’s memory deficits. Student contends that he required the one-to-one aide and tutor so he could have someone to whom he can read aloud, and who can then question him about what he has read. 46. An IEP team meeting was held for Student on November 19, 2003. Student’s mother signed the IEP.5 Pursuant to that IEP, Student was placed in RSP four days per week for 45 minutes each day, and in speech and language therapy two days per week for 30 minutes each day. 47. Student received RSP and speech services in the sixth grade. For math, Student was taught by Ms. Johnston, his own classroom teacher, and was part of a group of about 25 students with two instructional assistants. Student was seated in the front of the class. Student was taught math through an alternative method employing the use of a grid which was also used for all students to improve math performance. In addition, Student attended SMART kids, an after-school tutoring program. 48. Ms. Johnston provided Student with an organizer with the goal of teaching him to become an independent learner for junior high school. An aide used guided reading with Student. Ms. Johnston had computers available in the class for students to use. Student made slow, but steady progress. He was one of the class stars in fractions by the end of the second trimester. His reading lexile (choice of books preferred) increased significantly during that school year. 49. By the end of the third trimester, Ms. Johnston was very pleased with Student’s progress over the year. Student’s reading score in the reading program used by Rio Linda increased from 261 at the end of the second trimester to 410 at the end of the third trimester, which is almost a full grade level. In addition, Ms. Johnston provided instruction in science, delivered in a manner so that Student could access the curriculum and receive educational benefit. Student was showing greater confidence and doing much better by the end of the school year. Student had been reluctant about learning early in the year, but by the second trimester he was engaging and making gains toward his IEP goals. Student was a “vital” member of Ms. Johnston’s class and did well. 50. Ms. Johnston had a computer in her classroom available for use by students. Student did not require his own laptop computer or a recording device of any kind in order to make academic progress. 51. All of Student’s unique educational needs were addressed in his placement. The academics were not too high or unreachable for Student. The curriculum was tailored to Student’s needs. The curriculum was delivered to Student in a manner so that he could access the curriculum and receive educational benefit in science, math, and English. Student did not require a one-to-one aide. Student was receiving tutoring services after school through the SMART kids program, and did not require additional tutoring services outside of school, placement in a private school, a laptop computer, or a recording device in order to receive a FAPE. 52. Based on the foregoing, Rio Linda provided a placement that was designed to address Student’s unique educational needs, and that was reasonably calculated to provide Student with educational benefit. 53. A district is required to provide services required pursuant to a student’s IEP. Student’s November 19, 2003 IEP required speech services twice per week for 30 minutes each session. 54. Mother conceded that Student received speech services in the sixth grade at Orchard School, but stated that he did not receive the services until after his file from Del Paso was found. In fact, Student did not have an IEP from Del Paso. Student’s interim IEP at Rio Linda, which was dated October 24, 2003, required speech services for Student two times per week, and Student began receiving those services after that interim IEP was signed. There was no specific or credible testimony that Student did not receive IEP-required speech services from Rio Linda. 55. Student contends that Grant failed to assess Student in all areas of suspected disability, specifically including ADD, ADHD, a sensory disorder, fine motor deficits, handwriting (dysgraphia), motor development, behavior,6 reading, and speaking. According to Mother, student has “weird” handwriting and garbled speech. 56. As discussed in Factual Finding 8 through 22, Rio Linda assessed Student in all areas of suspected disability during his triennial evaluation in November 2003. As discussed in Factual Findings 22, 27, and 34, Student’s unique educational needs were identified in the course of that assessment, and Student’s IEP required resource support program (RSP) services in reading, written language, and also speech and language therapy services for expressive language, pragmatics, articulation, and listening. 57. June Speakman,7 the seventh grade RSP teacher at Rio Linda Junior High within Grant and the case manager for seventh grade students with IEPs, is the curriculum support teacher, and is responsible for implementing IEPs. Prior to the 2004-2005 school year, in order to familiarize herself with Student’s needs, Ms. Speakman went to Rio Linda and spoke with Mr. Taner, who provided services to Student at Orchard Elementary School. On December 7, 2004, Student was administered the Woodcock-Johnson Tests of Achievement. In addition, Student’s teachers and IEP service providers observed him. 58. Ability to focus or hyperactivity did not stand out as problems for Student. Student was motivated, had good attendance, was a good athlete, was hard-working, and wanted to do the best that he could. Student’s math teacher, Mr. Wrinkle, had Student in his class for two periods each day—pre-algebra and pre-algebra support. Mr. Wrinkle gave Student notes from the class because Mr. Wrinkle was aware that copying things was difficult for Student, but Student was receiving RSP services in written language to address that visual processing problem. There was no evidence of a fine motor deficit or dysgraphia, and there was no evidence that Student had a sensory disorder. Sometimes Student needed redirecting but, in terms of behavior, he was a normal junior high school student. He had not been suspended from school. Student got along with everyone very well, and his behavior did not differ significantly from that of other students. Student had identified unique needs in the areas of reading and speech, and he was receiving IEP-required services to address those. 59. Ms. Feldman, Student’s expert, offered no testimony as to any area of suspected disability in which Student should have been assessed. 60. There was no cause to suspect that Student had additional areas of suspected disability and no cause to refer Student for further assessment. 61. As discussed in Factual Finding 57, Student was administered the Woodcock-Johnson Tests of Achievement December 2004. No additional unique needs were identified. Sally Coghlan,8 the eighth grade RSP teacher, administered the Woodcock Johnson III Tests of Achievement #1 through #11 to Student on June 2 and 5, 2006. On June 6, 2006, speech therapist Carol Poteet9 completed a speech and language summary which consisted of a verbal language sample and analysis. No additional unique needs were identified in those assessments. 62. Student produced his “Student Assertive Discipline Record” for the 2005-2006 school year as evidence that Student should have been assessed in the area of behavior. That discipline record contained two entries. The first entry was a comment that Student had been “disruptive with the substitute” in Mr. Wrinkle’s math class on September 21, 2005. The second entry was a comment that Student had organized an incident outside the bus area at school in which Student threw another student “to the ground and punched him in order to wish him happy birthday” which caused a large disturbance outside in the bus area with 10 people involved. Student was given an in-house suspension of one hour for each of the two incidents. 63. In the opinion of school psychologist Homer Johnson,10 a parent-teacher conference would be in order for the roughhousing incident outside the bus area. However, a functional analysis would not be appropriate because that is used in cases in which the behavior is “pervasive maladaptive behavior,” which Student’s was not. A behavior support plan (BSP) would also not be warranted because a BSP is required when a student’s behavior is impairing his education or that of others. Student’s was not. There was no reason to suspect that Student had a disability in the area of behavior. Likewise, there was no reason to suspect a disability in the other areas Student alleged. Mr. Wrinkle had Student in his classroom for two periods each day in the 2005-2006 school year (algebra and algebra support), and saw no areas of suspected disability other than those already identified. There was no cause to suspect additional areas of disability. 64. On September 1, 2006, Mr. Johnson completed a triennial psychoeducational–educational evaluation of Student. Mr. Johnson’s assessment included administration of the Cognitive Assessment System (CAS), the Matrix Analogies Test –Expanded Form (MAT-EF), the Woodcock Johnson Third Edition (W-J-R-3), the Bender Visual Motor Gestalt Test, the Piers Harris Self Concept Scale, the Behavior Assessment System for Children (BASC), the Connors’ Rating Scales, the House-Tree-Person Drawings (HTP), and the Mental Status Examination (MSE). Ms. Johnson’s assessment also included the speech and language summary conducted by Ms. Poteet in June 2006. 65. During the assessment process, Mr. Johnson spent approximately 12 hours with Student. Student was very polite, articulate, well-groomed, motivated, easy to work with, and presented as a bright young man. Mr. Johnson also reviewed Student’s cumulative file, IEPs, previous reports, and Student’s general education testing. Mr. Johnson talked to Student’s teachers and obtained forms from Student’s teachers regarding their classroom observations of Student. Mr. Johnson also talked with Ms. Coghlan (eighth grade RSP teacher), Ms. Speakman (seventh grade RSP teacher), Ms. Siefert (speech therapist), and Ms. Carol Poteet (supervising speech therapist) regarding Student. 66. Mr. Johnson determined Student’s areas of weakness to be specific learning disorder, speech and language, writing ability, reading, and spelling. Student also had a weakness in the area of long-term memory. Student’s reading and reading comprehension were low. However, Student was very articulate, and when he spoke his speech was clearly understandable. Student did well in math, which is a strength of Student, as evidenced by his Woodcock-Johnson scores. 67. Student’s test results showed no symptomology of ADD or ADHD, and Student did not present as a child who was not focused. Student did not talk excessively. Mr. Johnson also saw no indication of “weird” handwriting. Student wrote for Mr. Johnson during the assessment process although Student preferred printing. According to Mr. Johnson’s testing, Student’s ability to communicate nonverbally in writing is in the average range. Student did not have problem behaviors, as discussed in Factual Finding 57 and 62, and behavior was not a suspected area of disability. 68. Grant assessed in all areas of suspected disability and there was no reason to suspect that Student had any additional area of disability, other than those identified. 69. Student contends that the assessments conducted by Grant were inappropriate because the assessments provide an inaccurate and inflated picture of Student’s present levels of academic performance, which, according to Student, resulted in Grant’s failure to identify all areas of Student’s unique educational needs. In support of this claim, Student relies on his STAR testing from the seventh grade, which shows that he scored “far below basic” in most areas in the seventh grade, and on the testimony of Student’s expert witness, Ms. Feldman, who testified that her testing showed that Student was not making progress. 70. Grant supplemented Student’s last full assessment by conducting academic testing in December 2004. 71. The tests were administered by Grant personnel and Student offered no evidence that the tests were not administered by trained personnel in conformance with the instructions provided by the producer of such tests, or by an individual who was not knowledgeable of the student’s disability or competent to perform the assessments. Student produced no evidence that the test materials were not validated for the specific purpose for which they are used. Based on the foregoing, Grant appropriately assessed Student in the 2004-2005 school year. 72. Ms. Coghlan administered the Woodcock Johnson III Tests of Achievement #1 through #11 (WJT) to Student on June 2 and 5, 2006. On June 6, 2006, speech therapist Ms. Poteet completed a speech and language summary with respect to Student, which consisted of a verbal language sample and analysis. 73. The WJT and the speech and language summary were administered by credentialed and qualified personnel and Student offered no evidence that the test was not administered by trained personnel in conformance with the instructions provided by the producer of such tests, or by an individual who was not knowledgeable of the student’s disability or competent to perform the assessment. Student produced no evidence that the tests materials were not validated for the specific purpose for which they are used. Based on the foregoing, Grant appropriately assessed Student in the 2005-2006 school year. 74. As discussed in Factual Finding 64, Student was administered a psychoeducational assessment by school psychologist Homer Johnson, and that assessment was completed in September 2006. As discussed in Factual Finding 68, Student was assessed in all areas of suspected disability in the course of this assessment. The WJT and speech and language summary described in Factual Finding 64 were completed in conjunction with Dr. Johnson’s evaluation, and were appropriate. 75. The testing instruments used by Mr. Johnson were research-based, valid, standardized instruments. In addition, Mr. Johnson’s assessment did not violate the prohibition on the use of intelligence tests for African-American student. The tests and assessment materials were administered by trained personnel, and there was no evidence that such administration was not in conformance with the instructions provided by the producer of such tests. The assessments were conducted by individuals who are both knowledgeable of the student’s disability and competent to perform the assessments. The psychological test by Mr. Johnson was performed by a credentialed school psychologist. There is no evidence that the tests and assessment materials were not validated for the specific purpose for which they are used, were not selected and administered so as not to be racially, culturally or sexually discriminatory, and were not be provided and administered in the student’s primary language or other mode of communication unless this is clearly not feasible. 76. Ms. Feldman’s testimony that Student scored lower on her tests than he did on the tests administered by Grant is not persuasive evidence that Grant’s assessment was inappropriate. Student’s scores were higher on the testing done by Grant than on the testing done by Huntington. However, Mr. Johnson testified that the WRAT, which was the test used by Huntington, is a screening tool, rather than an assessment. According to Mr. Johnson, he would not be able to use the testing done by Huntington to construct a program for Student. In addition, Student’s scores on the STAR test, which were low but still in the average range, do not constitute persuasive evidence that Grant’s assessment was inappropriate because the STAR test is not validated for determining whether a child has a disability. 77. Based on the foregoing, Student was appropriately assessed. Because Grant appropriately assessed Student for all the years at issue, Student is not entitled to an IEE at public expense. 78. Student contends that Grant failed to identify all of Student’s unique educational needs, failed to establish goals and objectives that were appropriate and adequate, failed to establish goals to ensure Student’s graduation from high school, failed to offer an appropriate placement, failed to offer an appropriate math program as a result of Student’s math teacher’s alleged violent and inappropriate conduct, which resulted in Student being unable to access his curriculum and to progress academically in math, and failed to provide Student the speech services required pursuant to his IEP. 79. Student contends that, for the three school years at issue, Grant failed to identify all of Student’s unique educational needs, specifically for reading practice, improving reading comprehension, writing practice, writing instruction, science instruction, instruction with respect to a system of note-taking, step-by-step instructions for academic tasks, and improving Student’s ability to retain information. 80. All of Student’s unique needs were identified in the course of his assessments, described above. For the three school years at issue, Student’s unique needs remained essentially the same and included those unique needs identified in Factual Findings 55 through 68. 81. At no time did Student have a unique need for reading practice, instruction in improving reading comprehension, writing practice, writing instruction, instruction with respect to a system of note-taking, step-by-step instructions for academic tasks, or instruction in improving ability to retain information, over and above that he was already receiving in school. 82. With respect to Student’s contention that he had a unique need to take a science course, Student’s school day was filled with core classes and support classes. Science is recommended, but not required in the seventh grade. Student’s reading was at the “intervention” level in seventh grade, and he was at the strategic level and needed curriculum support in math. The state recommends reading and math support, if they are necessary, rather than science, with the goal of getting all students to grade level by high school. Foregoing science class in seventh and eighth grade is not usual. Student did not have a unique need to be in a science course. 83. Student contends that Grant failed to establish goals and objectives that were appropriate and adequate and that the goals and objectives should have contained a statement as to the services to be provided, the location, frequency, and duration of those services, as well as a statement as to how Student’s growth will be monitored and by whom. 84. For the 2004-2005 school year, Student’s IEP was developed on November 15, 2004. Student’s parents attended that meeting but refused to sign the IEP. 85. The November 15, 2004 IEP established measurable annual goals in the areas of writing skills, reading skills, articulation, and language skills. The IEP contained a statement as to the services to be provided, as well as a statement as to how Student’s growth will be monitored and by whom. These goals and objectives were appropriate. With respect to location, frequency, and duration of services, the IEP sufficiently provides that speech services will be provided at the local site, two times per week, for 20 minutes each session. The IEP states that Student will continue RSP at the local site, and that he will be in RSP for language arts. 86. For the 2005-2006 school year, Student’s IEP was developed on November 28, 2005. Student’s parents did not attend that meeting and did not sign the IEP. 87. Student previously had identified unique needs in the area of writing skills, reading skills, articulation, and language skills. Student’s academic assessment of November 2004 showed significant delays in reading. However, Student was showing consistent improvement in math and was at grade level in his algebra class. Student was making substantial progress toward his speech goals, and the speech therapist recommended that Student’s speech therapy target more advanced sentence structure, and increase his ability to organize ideas into clear verbal and written expression. The team decided that Ms. Coghlan would monitor Student’s academic progress in general education. 88. The November 28, 2005 IEP established measurable annual goals in linguistic organization skills for writing and speaking, and in reading. In addition, the IEP team included measurable annual goals in articulation. The IEP contained a statement as to the services to be provided, as well as a statement as to how Student’s growth would be monitored and by whom. The speech therapist’s report contained a statement as to the speech articulation services to be provided, as well as a statement as to how Student’s growth would be monitored and by whom. These goals and objectives were appropriate. With respect to location, frequency and duration of services, the IEP sufficiently provides that speech services will be provided at the local site, two times per week, for 20 minutes each session. 89. Student’s annual IEP dated November 28, 2005, as discussed above, contained appropriate goals and objectives, and was to remain in effect for one year. 90. As discussed in Factual Findings 1 to 3, although Student remained in his home within the jurisdictional boundaries of Grant, Student did not attend a school within Grant for the 2006-2007 school year. Student now attends school at Natomas High School, within a different district. Student offered no evidence as to the basis for Student’s change in school, and he offered no evidence as to the basis of Grant’s obligation to provide a FAPE for the 2006-2007 school year. 91. Because Student was not attending school within Grant during the 2006-2007 school year, no IEP meeting was held in November 2006. 92. Student has failed to meet his burden of establishing that Grant had an obligation to offer FAPE to Student in the 2006-2007 school year. 93. According to Ms. Patti Stevens,11 Student was on track to graduate from high school. He was taking algebra and other core courses. Student would be entitled to receive modifications and accommodations on the high school exit exam if he needed those. 94. California law requires that, if appropriate, the IEP shall include, for pupils in grades 7 to 12, inclusive, any alternative means and modes necessary for the pupil to complete the district’s prescribed course of study and to meet or exceed proficiency standards for graduation. 95. Because Student was on track to graduate from high school, Grant had no obligation to include alternative means and modes necessary for Student to complete Grant’s prescribed course of student and to meet or exceed proficiency standards for graduation. 96. Student contends that, for the 2004-2005, 2005-2006, and 2006-2007 school years, Grant failed to offer an appropriate placement. Student contends that the academics were too difficult and were unreachable for Student; the curriculum was not tailored to Student’s needs or delivered in a manner so that Student could access the curriculum and receive educational benefit in the areas of science, math, and English; the placement did not include a one-to-one aide; the placement did not include tutoring services; the placement did not include a private school to address Student’s learning needs and behavior issues; the placement for math was inappropriate as a result of Student’s math teacher’s alleged violent and inappropriate conduct, which resulted in Student being unable to access his curriculum and to progress academically in math, and the placement did not include a laptop computer and a recording device for Student, both AT devices, to address Student’s memory deficits. Student contends that he required the one-to-one aide and tutor so he could have someone to whom he can read aloud, and who can then question him about what he has read. 97. Prior to Student’s entering seventh grade within Grant, the department chair was sent to Orchard Elementary School to determine Student’s level and his needs. At the time of Student’s November 2003 evaluation, while Student was in sixth grade, his reading level was at the mid-second grade. It was determined by Grant that Student needed intervention in reading, writing, and spelling, and also strategies in math. 98. In Student’s seventh grade year at Rio Linda Junior High School in the 2004-2005 school year, Student spent 1.5 hours each day in the RSP room with Ms. Speakman, who implemented Student’s written language and reading goals. Ms. Speakman used the REACH reading intervention program with Student, which is a research-based program, to improve Student’s decoding, comprehension, morphographic spelling, and reasoning. The REACH program is designed to increase a Student’s level of achievement two years for each year in the program. Student was also in pre-algebra and a pre-algebra support class. The pre-algebra support class is designed to remediate weaknesses. Student spent another 45 minutes a day with Ms. Speakman to receive support for his regular education curriculum. According to Ms. Speakman, Student made a great deal of progress that year. 100. Student’s pre-algebra teacher collaborated regularly with Ms. Speakman, Student’s RSP teacher, and Ms. Siefert, Student’s speech therapist, to ensure that Student’s educational needs were being met. Mr. Wrinkle helped Student by having him sit in the front of the class, giving him extra time to write notes, and giving him copies of the overheads so Student wouldn’t have to copy the material. Mr. Wrinkle was aware that Student’s biggest challenge was being able to copy things down. Mr. Wrinkle also offered Student “incentives.” Mr. Wrinkle was aware that Student liked basketball, and if Student did well on a math test, Mr. Wrinkle would let Student go work with Mr. LaFrancoise on basketball. Mr. Wrinkle also tutored Student one on one. Student would ask Mr. Wrinkle for help in class, and in the support class. 101. Ms. Feldman, Student’s expert, does not know if Student’s placement was too difficult for him. Ms. Feldman could not comment on whether Student needed a one-to-one aide while he attended Grant. Regarding tutoring services, Ms. Feldman believes that Student needed intervention of some sort, and that if he had intervention, it did not work. She testified that she believed Student was not progressing academically. Ms. Feldman’s testimony that she would bring Student up a year in two to three months and bring him to grade level in eight months was not credible because, according to Ms. Stevens, it is not possible to bring up a student one year of growth in two to three months. If a screening test is given to determine present levels, and then the tutoring is focused on teaching to the test, it could appear that the student has made that much progress even if he has not. Student was making real academic progress in Grant. 102. Although Student’s STAR test results were generally lower in the seventh grade than in the sixth, there are higher expectations of seventh graders, and if a student maintained academic skills between sixth and seventh grades, the STAR scores would go down. If a student did not maintain academic skills, there would be a significant drop. Student’s scores in both seventh and eighth grades were still in the average range. 103. The academics in Student’s placement were neither too difficult nor unreachable for Student. The curriculum that was tailored to Student’s needs and delivered in a manner so that Student could access the curriculum and receive educational benefit in the areas of math and English. Student did not require a one-to-one aide, tutoring services, or a private school. Additionally, Student did not require a laptop computer or a recording device for Student. 104. Based on the foregoing, Grant provided a placement in the 2004-2005 school year that was designed to address Student’s unique educational needs, and that was reasonably calculated to provide him with educational benefit. Additional services were not required. 105. As discussed in Factual Finding 72, Ms. Coghlan conducted an academic assessment of Student in June 2006. At that time, Student’s broad reading score was at the fourth grade, fifth month level. Therefore, in the seventh and eighth grades, Student had grown from mid-second grade level in reading to mid-fourth grade level. Ms. Poteet assessed Student in the area of speech in June 2006, and her assessment results showed that Student had made significant progress. 106. As a result of his response to intervention strategies and his improvement, Student moved from RSP English/language arts in the seventh grade to general education English/language arts in the eighth grade. Student was taking algebra in eighth grade. It was an accomplishment for Student, and for most students, to be in algebra in the eighth grade. Mr. Wrinkle gives every student an algebra readiness test at the beginning of the year. Student passed that test indicating that Student should attempt to take algebra rather than repeating pre-algebra. Student proved by his score on the algebra readiness test that he had learned pre-algebra and that it was time for him to be exposed to algebra. Algebra is a difficult course, and many students take it a second time. Only 20 percent of the students at the school pass the algebra readiness test. Student made substantial progress in algebra. According to Mr. Wrinkle, Student made a year’s worth of math progress in Mr. Wrinkle’s class. Passing the first semester of algebra was an achievement. Student always tried and persevered, and showed consistent improvement. 107. Mr. Wrinkle, Student’s algebra class teacher and his pre-algebra support class teacher in his eighth grade year, collaborated with Ms. Coghlan, Student’s RSP teacher, and Ms. Siefert, Student’s speech therapist, to ensure that Student’s academic needs were being met. 108. Student did better in Mr. Wrinkle’s class in the fall than in the spring. Student was starting to fall behind in the spring of 2006. Everyone in that class was struggling in the spring because that is the time of the school year when they learn quadratics, which are extremely difficult. Student was in the lower part of the class, but making progress. 109. The academics in Student’s placement were neither too difficult nor unreachable for Student. The curriculum was tailored to Student’s needs and delivered in a manner so that Student could access the curriculum and receive educational benefit in the areas of math and English. Student did not require a one-to-one aide, tutoring services, or a private school. Additionally, Student did not require a laptop computer or a recording device for Student. 110. Based on the foregoing, Grant provided a placement in the 2005-2006 school year that was designed to address Student’s unique educational needs, and that was reasonably calculated to provide him with educational benefit. Additional services were not required. 111. Student contends that Grant denied Student a free appropriate public education in the area of math during the 2005-2006 school year as a result of Student’s math teacher’s alleged violent and inappropriate conduct, which, Student contends, resulted in Student being unable to access his curriculum and to progress academically in math. 112. According to Mr. Wrinkle, on April 6, 2006, at the beginning of the period of one of Student’s math classes with Mr. Wrinkle, there was a lot of pushing and shoving among the boys as they lined up outside the door. A boy was standing at the doorway, and another boy shoved him from behind and sent him sprawling across a table in the classroom. Student, who happened to be near the door, was spilling chips from a bag onto the carpet. Mr. Wrinkle had lost his voice and did not have his whistle with him. Mr. Wrinkle grabbed Student and the boy who did the shoving, and escorted them outside. Student had not seen Mr. Wrinkle upset like that before, and Student was visibly shaken. Student was moved to Ms. Prisacar’s algebra class after that, and stayed in her class through the end of the year. Mr. Wrinkle had no contact with Student after that. 113. Mother testified that Student was doing well until the incident, and then he had an “F” as his grade in the class after the incident. According to Mother, information in Student’s IEP was not given to Ms. Prisacar, and someone should have given her that information. Ms. Prisacar would not answer any of Mother’s questions after the incident. In addition, Student now sees teachers differently. 114. Mother’s testimony was not supported by the evidence. The evidence showed that Student received an F grade on a test in early March, and did not retake that test, even though Students in RSP are allowed to do so. Also, according to Mr. Wrinkle, Student tends to do worse in math in the spring than in the fall. According to Mr. Wrinkle, the second semester of algebra is much more difficult than the first, in that students study quadratic equations in the second semester. Student was falling behind well before the incident. Mr. Wrinkle believed that Student was ready for “exposure” to algebra that year, although Mr. Wrinkle was mindful of the fact that many students take algebra a second time because algebra is a very difficult class. 115. Additionally, Student did not produce Ms. Prisacar as a witness. Thus, there was no testimony, other than that from Mother, that Ms. Prisacar never received Student’s IEP or that Ms. Prisacar would not answer Mother’s questions. 116. Based on the foregoing, Student has failed to establish that he was denied FAPE as a result of this incident. 117. As discussed in Factual Findings 1 through 3, Student’s residence remains within the jurisdictional boundaries of Grant, but Student has not attended school within Grant during the 2006-2007 school year. He is attending Natomas High School, is in the general education program, and is not receiving special education services. No evidence was offered as to the basis for Student’s change of school. In addition, Student offered no evidence as to the basis of Grant’s obligation to provide a FAPE in the 2006-2007 school year. 118. The November 28, 2005 annual IEP offers Student placement in the general education core classes, nonacademic classes, and core support classes. The IEP also offers RSP and 20 minutes of speech therapy twice per week at the local site, which would be the high school for the 2006-2007 school year. The IEP offered primary transition services including Workability. Student’s parents did not attend this IEP meeting, and did not sign the IEP. 119. Student was not attending school within Grant during the 2006-2007 school year. No IEP meeting was held by Grant for Student during the 2006-2007 school year. 120. Student failed to offer any evidence that District failed to offer a placement that is designed to address the Student’s unique educational needs, and that is reasonably calculated to provide the student with educational benefit. 121. Student’s last signed IEP required speech services two times per week for 30 minutes each session. 122. Student contends that Grant failed to provide Student the speech services required pursuant to his IEP. Mother testified that in the seventh (2004-2005) and eighth grades (2005-2006) Student did not attend speech therapy sessions. The only evidence presented of Student missing speech services was that Student missed speech sessions in January, February, and March 2006. 123. In January, February, and March 2006, attendance at speech became an issue. After the winter break, Student was sent speech passes routinely but did not show for therapy sessions. 124. Ms. Poteet supervised Ms. Siefert, who provided direct services to Student under Student’s last signed IEP, which was the IEP dated November 19, 2003.12 According to Ms. Poteet, when Student’s attendance at speech therapy became a problem, Ms. Siefert adjusted the therapy times, reminded Student about speech therapy at various time throughout the day, and ensured that passes were being delivered to Student. Communications with parents were made in the quarterly progress reports. Ms. Siefert indicated to Ms. Poteet that she had given the parents the quarterly reports. 125. Ms. Stevens spoke with Ms. Siefert in the spring of 2006, Student’s eighth grade year, regarding Student missing speech and about Ms. Siefert’s concern that there was an inference that it was Ms. Siefert’s fault that Student was missing speech sessions. Ms. Siefert went to get Student for the sessions. Ms. Siefert would go and find Student and remind him to go to speech therapy. Sometimes Student would ignore her and walk the other way when she came. Ms. Siefert took steps to get Student to attend speech therapy sessions. She had Student’s teacher put daily passes on Student’s desk. If Student did not show up for speech therapy, Ms. Siefert would call the teacher to remind the Student. Ms. Siefert scheduled speech therapy during the class that least affected Student’s ability to access the academic core, which was physical education. However, physical education was Student’s favorite class. Students in eighth grade are generally embarrassed about having to go to speech, and ensuring attendance at that age is difficult for students like Student, who are popular on campus. 126. According to Mother, the school did not call her, or in any other way contact her, to tell her about Student’s absences in January, February, and March 2006. It was only when Ms. Siefert’s March 29, 2006 summary was sent to Mother that she learned of the absences. When mother learned of the absences, she told Student that he would not be going to the NBA to play basketball if he did not attend speech therapy, and that, according to Mother, “fixed the problem” and Student began attending his speech therapy sessions again. 127. Student’s November 28, 2005 IEP requires speech therapy twice per week for 20 minutes per session. However, Ms. Poteet evaluated Student in June 2006, and determined that Student had significantly improved his speech and language skills since his previous assessment in the areas of articulation, syntax, semantics and listening skills. Ms. Poteet further determined that Student’s fluency, articulation, pragmatics, auditory memory, auditory processing, and ability to verbally define words were all within the normal range. Ms. Poteet concluded that Student’s speech and language skills are strong enough to support his continued academic development, and that further intervention would not be recommended. 128. Grant failed to provide Student with the speech services required by his IEP in January, February, and March 2006. Also, Grant did not contact Mother during this time, until March 29, 2006, to inform her that Student was not attending. This constitutes a failure by Grant to provide the speech services required pursuant to Student’s IEP. However, Student’s June 2006 speech evaluation by Ms. Poteet demonstrates that Student’s speech and language skills did not require further intervention. Therefore, Student has not shown a need for compensatory education. In addition, Student failed to establish that Student was not provided speech services pursuant to his IEP at any other time during the 2004-2005 and 2005-2006 school years. 1. Under Schaffer v. Weast (2005) 546 U.S. 49 [126 S.Ct. 528, 163 L.Ed.2d 387], the party who filed the request for due process has the burden of persuasion at the due process hearing. Here, Student filed for a due process hearing and bears the burden of persuasion. 7. To determine whether a District offered a student a FAPE, the focus is on the adequacy of the placement the District actually offered, rather than on the placement preferred by the parent. (Gregory K. v. Longview School Dist. (9th Cir. 1987) 811 F.2d 1314.) Under Rowley, supra, 458 U.S. 176, 179 [102 S.Ct. 3034, 73 L.Ed.2d 690], a challenge to an IEP requires resolution of two issues: (1) whether the school district complied with the procedural requirements of IDEA, and (2) whether the challenged IEP was reasonably calculated to enable the child to receive educational benefits. If the school district’s program was designed to address student’s unique educational needs, was reasonably calculated to provide some educational benefit, and comported with the IEP, then the District provided a FAPE, even if student’s parents preferred another program and even if his parents’ preferred program would have resulted in greater educational benefit. 16. There is no express requirement that a school district perform an AT evaluation. AT devices or services may be required as part of the child’s special education services, related services, or supplementary aid and services. (34 C.F.R. § 300.308(a)(1999).) A school district is required to use the necessary assessment tools to gather relevant functional and developmental information about the child to assist in determining the content of the child’s IEP. (34 C.F.R. § 300.532(b)(2)(1999).) A school district is also required to ensure that the evaluation is sufficiently comprehensive to identify all of the child’s special education and related services needs. (34 C.F.R. § 300.532(h)(1999).) Therefore, in the proper circumstance, a school district is required to perform an evaluation of a child’s need for AT devices or services. 17. When a LEA fails to provide FAPE to a student with a disability, the student is entitled to relief that is “appropriate” in light of the purposes of the IDEA. (School Committee of Burlington v. Department of Education (1996) 471 U.S. 359, 374 [85 L.Ed.2d 385, 105 S.Ct. 1996]; 20 U.S.C. § 1415 (i)(C)(iii).) Based on the principle set forth in Burlington , federal courts have held that compensatory education is a form of equitable relief which may be granted for the denial of appropriate special education services to help overcome lost educational opportunity. (Parents of Student W. v. Puyallup Sch. Dist. (9th Cir. 1994) 31 F.3d 1489, 1496.) The right to compensatory education accrues when the district knows, or should know, that student is receiving an inappropriate education. Compensatory education does not, however, necessarily involve an obligation to provide day-for-day or session-for-session replacement for opportunity or time missed. (Id . at p. 1497). The purpose of compensatory education is to “ensure that the student is appropriately educated within the meaning of IDEA.” (Ibid .) Both reimbursement and compensatory education issues are equitable issues requiring a balancing of the behaviors of the parties. 1. As stated in Factual Findings 8 through 22, and in application of the legal principles stated in Legal Conclusion 9, Rio Linda assessed Student in all areas of suspected disability. 2. As stated in Factual Findings 23 through 30, and in application of the legal principles stated in Legal Conclusions 9 and 10, Rio Linda’s assessments of Student from October 2003 through the end of the 2003-2004 school year were appropriate. 3. As stated in Factual Finding 30, inclusive, and in application of the legal principles stated in Legal Conclusion 11, Student is not entitled to an IEE at public expense for the 2003-2004 school year. 4. As stated in Factual Findings 32 through 36, inclusive, and in application of the legal principles stated in Legal Conclusions 3 through 6, inclusive, Rio Linda identified all of Student’s unique needs. 5. As stated in Factual Findings 37 through 41, inclusive, and in application of the legal principles stated in Legal Conclusion 12, Rio Linda established goals and objectives that were appropriate and adequate. 6. As stated in Factual Findings 42 and 43, inclusive, and in application of the legal principles stated in Legal Conclusion 13, Rio Linda had no legal obligation to establish goals to ensure Student’s graduation from high school, and did not improperly fail to do so. 7. As stated in Factual Findings 44 through 52, and in application of the legal principles stated in Legal Conclusions 3 through 5, inclusive, Rio Linda offered an appropriate placement. 8. As stated in Factual Findings 53 and 54, and in application of the legal principles stated in Legal Conclusion 5, Rio Linda did not fail to provide Student with the speech services required in Student’s IEP. IV. During the 2004-2005, 2005-2006, and 2006-2007 school years, did Grant fail to assess Student in all areas of suspected disability? 9. As stated in Factual Findings 55 through 68, and in application of the legal principles stated in Legal Conclusion 9, Grant assessed Student in all areas of suspected disability during the 2004-2005, 2005-2006, and 2006-2007 school years. V. Were the assessments conducted by Grant during 2004-2005, 2005-2006, and 2006-2007 school years appropriate? 10. As stated in Factual Findings 69 through 77, and in application of the legal principles stated in Legal Conclusions 9 and 10, the assessments conducted by Grant during the 2004-2005, 2005-2006, and 2006-2007 school years were appropriate. 11. As stated in Factual Finding 77, inclusive, and in application of the legal principles stated in Legal Conclusion 11, Student is not entitled to an IEE at public expense for the 2004-2005, 2005-2006, and 2006-2007 school years. 12. As stated in Factual Findings 79 through 82, inclusive, and in application of the legal principles stated in Legal Conclusions 3 through 6, Grant identified all of Student’s unique needs during the 2004-2005, 2005-2006, and 2006-2007 school years. 13. As stated in Factual Findings 83 through 92, and in application of the legal principles stated in Legal Conclusion 12, Grant established goals and objectives for the 2004-2005, 2005-2006, and 2006-2007 school years that were appropriate and adequate. 14. As stated in Factual Findings 93 through 95, and in application of the legal principles stated in Legal Conclusion 13, Grant had no legal obligation to establish goals to ensure Student’s graduation from high school, and did not improperly fail to do so. Grant was ensuring that Student was on track to graduate. 15. As stated in Factual Findings 96 through 116, and in application of the legal principles stated in Legal Conclusions 3 through 5, Grant offered an appropriate placement in the 2004-2005 and 2005-2006 school years. 16. With respect to the 2006-2007 school year, as stated in Factual Findings 117 through 120, Student does not attend school within Grant, and did not establish at the hearing that Grant had any obligation to offer an appropriate placement. 17. As stated in Factual Findings 111 through 116, Grant did not fail to offer an appropriate math program as a result of Student’s math teacher’s alleged violent and inappropriate conduct, and the teacher’s conduct did not result in Student being unable to access his curriculum and progress academically in math. 18. Pursuant to Factual Findings 121 through 128, and in application of the legal principles stated in Legal Conclusion 5, Grant failed to provide speech services to Student during January, February, and March 2006 because he did not attend his twice-weekly sessions for those three months, and Grant did not inform Mother or Father that Student was not attending speech. When parents are informed, they have the opportunity to ensure their child’s participation, as was done in this case. Grant’s failure to inform Mother of Student’s absences, and the resulting and inevitable failure to provide Student with the speech services required by Student’s IEP, was a denial of FAPE. As discussed in Legal Conclusion 17, the compensatory education accrues when the district knows, or should know, that the student is receiving an inappropriate education. In this case, Grant knew. As further discussed in Legal Conclusion 18, compensatory education does not necessarily involve an obligation to provide day-for-day or session-for-session replacement for opportunity or time missed. The purpose of compensatory education is to ensure that the student is appropriately educated within the meaning of the IDEA. Student is not entitled to additional speech therapy because, as stated in Factual Finding 128, Student no longer required intervention in the areas of speech as of June 2006. Pursuant to California Education Code section 56507, subdivision (d), the hearing decision must indicate the extent to which each party has prevailed on each issue heard and decided. Rio Linda prevailed on all issues involving Rio Linda, and Grant prevailed on all issues involving Grant.